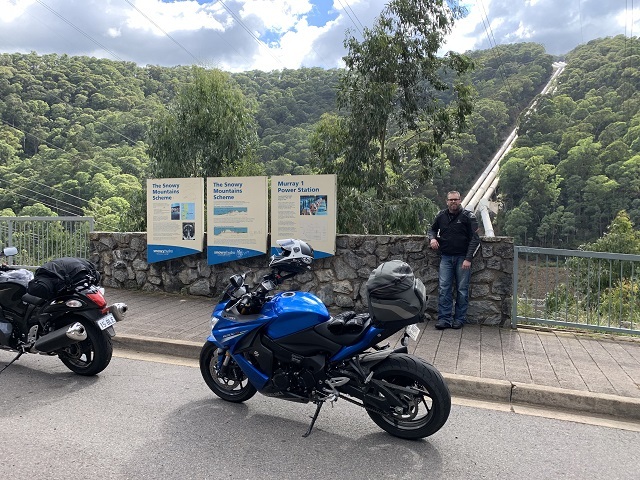 About once a year, my son Peter and I embark on a father/son motorcycle adventure – last year it was Hall’s Gap and the full length of the Great Ocean Road. This year, we extended it to a 3 day adventure and decided to do the reverse of Roger Foot’s Snowy Ride annual event. 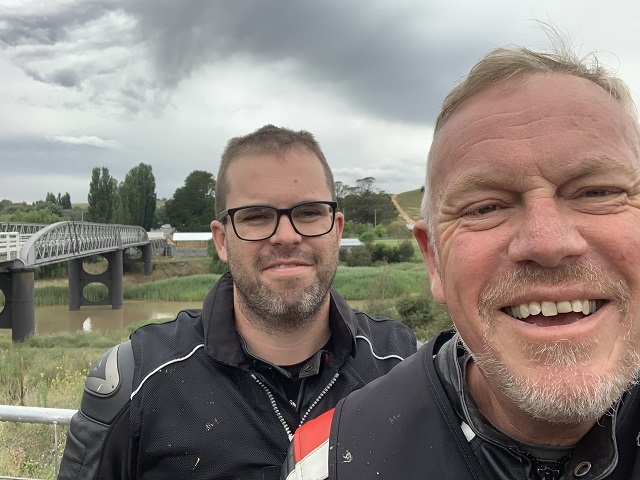 1475+ km over 3 days was always going to be an ambitious schedule, but we were both up for a bit of a challenge, so at 7am on Friday 8th February, we headed off in the Gippsland direction. 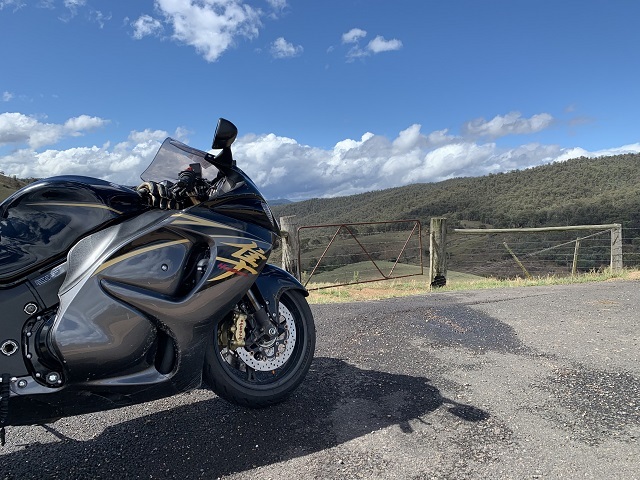 We had bought a “shared bike” a week before – a 2015 Hayabusa with less than 3000km on the clock – bought on the previous Friday and taken next morning on the 3 day Ulysses Melbourne Tallangatta Ride. A bolt in the back tyre high on the Granya Gap (plugged on the 2nd attempt) precipitated the fitting of new tyres back in Melbourne – what better way to wear them in than a quick spin up to Thredbo!! With a 2016 BMW K1300 S Motorsport and a 2017 Thruxton R idle in the garage, Peter chose his 2016 Suzuki GSX-S 1000F and we decided on a “Suzuki Only” ride. We made good time to Heyfield for a 9ish breakfast, through Maffra and rejoined the highway at Stratford. We lunched late at Cann River then off to Bombala and got to Thredbo about 5pm. 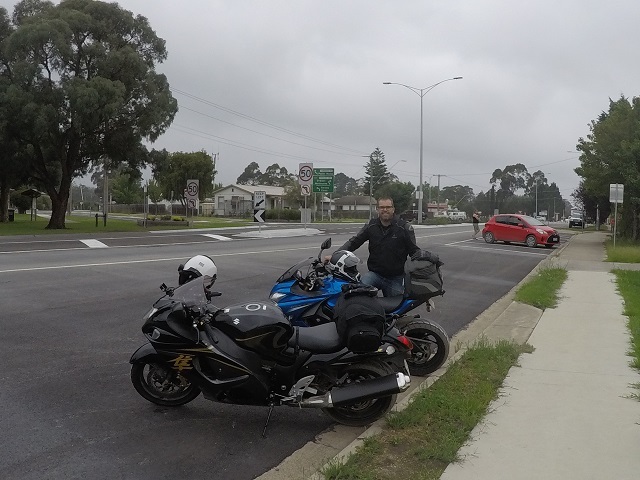 There were extended sloshy muddy roadworks between Bairnsdale and Cann River – the bikes looked awful after that, but we managed to stay dry in the rain. It dried out after Cann River and apart from a kangaroo that couldn’t decide which bike to baulk, and then a deer that darted in front of us about 5km short of Thredbo, the ride was relatively uneventful and we arrived happy but tired at the River Inn where the accommodation is very good and quite economical. A nice meal at Bernti’s which has reopened after renovations (and the staff remembered us from past Snowy Rides) went down really well and we slept the sleep of the just, having done about 675km for the day, including minor side trips for sightseeing (in summer, don’t take your son to see the massive plume of water at the Jindabyne Spillway – it might not be happening…..). An early breakfast and then off at 8am in somewhat threatening weather conditions and very strong winds to ride from Thredbo to Dinner Plain via the Dead Horse Gap, Corryong, Mitta Mitta, and Angler’s Rest, and then fuel at Omeo before the coldest half hour in my summer for the ride into Dinner Plain. It poured from Mitta Mitta to Angler’s Rest, but then came out sunny but still windy. We had the privilege of seeing close up the hunting skills of a pair of huge Wedge Tailed Eagles – awesome. However, the wet roads were further compromised by the endless tree branches, bark and leaves blown onto the bitumen – we were very happy to see the clouds finally roll away, but not before younger riders (one in particular) made an unsafe passing manoeuvre in pelting rain, cutting me off in a corner and almost dropping me on the road – sadly, we see every day why bike accident stats are as high as they are – it is called thinking with another part of your body……. However, we persevered, and in the height of summer, we arrived at the High Plains Hotelat 4pm in a balmy 2.3 degrees!! 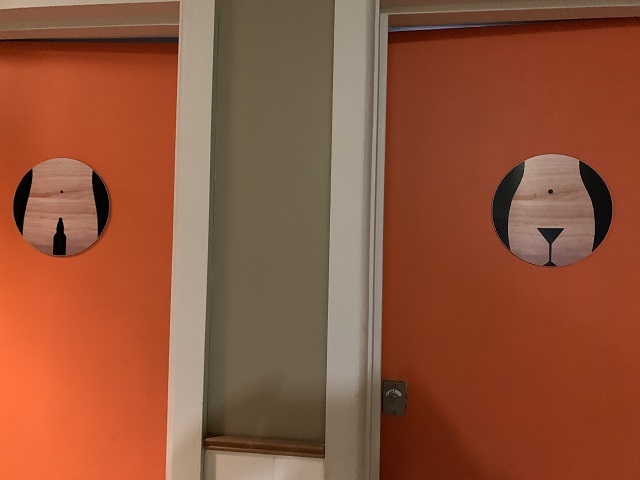 The accommodation and food were terrific, and the pub supervisor, Amber, is one of the real local characters – all in all a great place to stay. Although it was under 400km for the day, the challenging roads and even more challenging weather saw us again get an excellent night’s sleep. A chilly 8am start on Sunday for our approx. 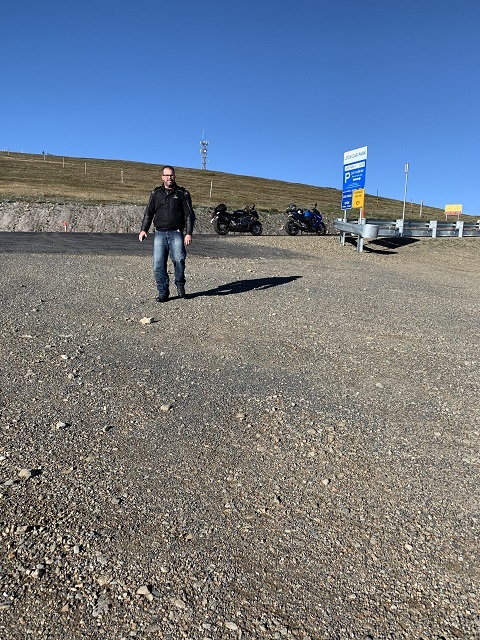 500km ride home – Mt Hotham for some sight seeing (followed by 25km down the mountain with loose gravelled roadworks – like riding on ball bearings! ), then breakfast at Myrtleford, the Snow Road, the Whitfield Gap and the Tolmie Saddle. These latter bits of road highlighted another motorcycling truism – most riders are WAY braver uphill!! A break in Mansfield then fuel in Yea and suddenly we were back in “civilization”. We arrived home about 3.45pm with 2 very dirty bikes and 2 smiles that will take months to fade!! Our choice of bikes turned out to be little short of inspired!! We swapped bikes a couple of times each day – the Hayabusa is long and low with a forward riding position and high, rear set pegs. It is very planted on the road, whereas the GSX-S is much noisier, sportier, less planted but very upright, and with a shallow seat cushion. Neither is perfect, but swapping between the two offered a welcome relief from a lot of the aches and pains of long days in the saddle. And it was fun (at my significant age) to ride a bike cunningly designed for 30 somethings!! (Don’t tell Sally I enjoyed it that much…..). Petrol availability over these roads is highly variable – both of our bikes need 95 RON and not all the smaller places are certain to have it, so trip planning is important!! If in doubt, research before you leave – there is a huge difference between a half tank of 91 Ron on top of a half tank of 98 RON and an empty tank totally filled with 91 RON. Roadworks abound and this trip could almost have been titled “An Inspection Ride Visiting Every Roadwork Site in Victoria”. The roadworks on Mt Hotham are little short of criminal – such a massive stretch of technically challenging roads with loose gravel the entire way. 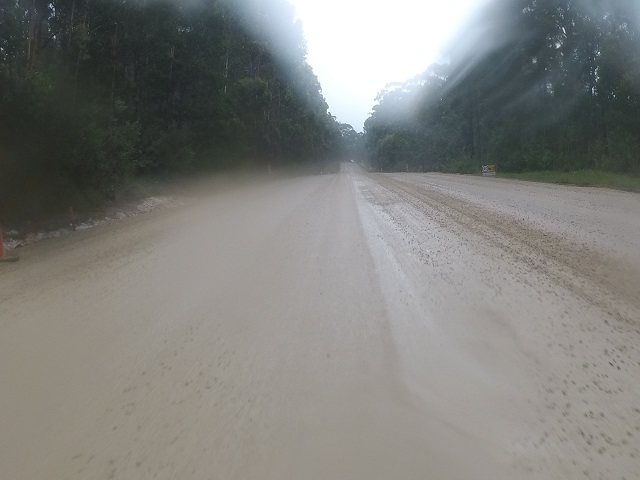 And the roadworks between Bairnsdale and Cann River proved another truism – it ALWAYS rains when you need to traverse soft, clay based, unsealed roadworks. Camaraderie is an oft used word in the Ulysses Club – but it is really what sets the club apart. We met NSW Ulysseans in Bombala, a Qld Ulyssean and an ex Vicco Ulyssean in Jindabyne and a group of Shepparton Ulysseans in Yea. Each one was genuinely friendly! And every one of them is interested in sharing their experiences and making you feel like you belong. Going on longer rides and sharing some time with these people that you meet by chance is one of the best parts of each trip. Choice of ride partner is another interesting issue – group dynamics are sometimes unpredictable, but Ulysses Melbourne has an enviable track record. In this case, doing a reasonably challenging ride of this distance over that timeframe with the added complication of inclement weather on two of the three days, in company with your son, is a fabulous and unforgettable experience. It was just that, last year, around Western Victoria. It was also just that, this year, around southern NSW and north eastern Victoria. After 3 days of hard riding, my tolerance of arrogant bums holding you up at 90 km/h behind double lines that can suddenly find 115 km/h at the next overtaking lane was gone!! Amazing how cars drop rapidly back when, as you pass, honking them, you make ice cold eye contact with the driver and point menacingly……..
On the positive side, if you want to do a ride like this, and you think our GPX files, trip notes or distance/fuel data might be helpful, just contact me. They’re all yours. PS – I give lessons on making “ice cold eye contact with the driver…..” Ha ha ha.